It’s one thing to advertise to children. It’s another thing to pay parents to turn their offspring into an advertisement. But that’s what Kentucky Fried Chicken (KFC) is doing. KFC last month launched a contest to lure parents into selling their newborn baby’s identity to KFC – for life. Parents who name their child Harland – after KFC Founder Colonel Harland Sanders – and agree to the terms of the contest are eligible to receive $11,000 toward their child’s college education. Only one child will be selected, leaving many other children – named Harland by hopeful parents – stuck with KFC-branded names for life. The selected child’s identity – including name, pictures, voice, likeness and biographical information – will be owned by KFC for advertising purposes. The company won’t provide any additional compensation or even notify the parents when the child’s likeness is used. The chosen child will be subject to a lifetime of KFC-branded identity – without their consent. KFC aims to manipulate desperate parents who only want to do what’s best for their child. That’s according to Kristen Strader of Public Citizen’s Commercial Alert. Do we know how many parents have named their children Harland as a result of this contest? What are you asking KFC to do? The child had to be born on September 9, 2018. 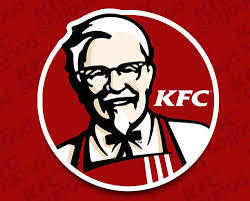 Colonel Harland Sanders was born on September 9, 1890. Have they announced the winner? Have you ever come across anything like this? Should there be limits on commercialism? And if so, where do you draw the line? There could be governing policy saying for example that public spaces shall be commercial free zones. Has that ever been seriously considered? Are there some school districts that have limited commercialism?